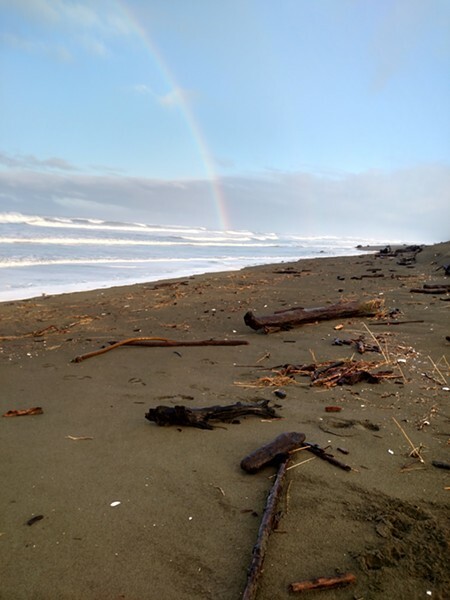 A rainbow captured over Mad River Beach this morning. A coastal flood advisory is in effect until 1 p.m. as those high astronomical tides continue along the coast for the next several days. 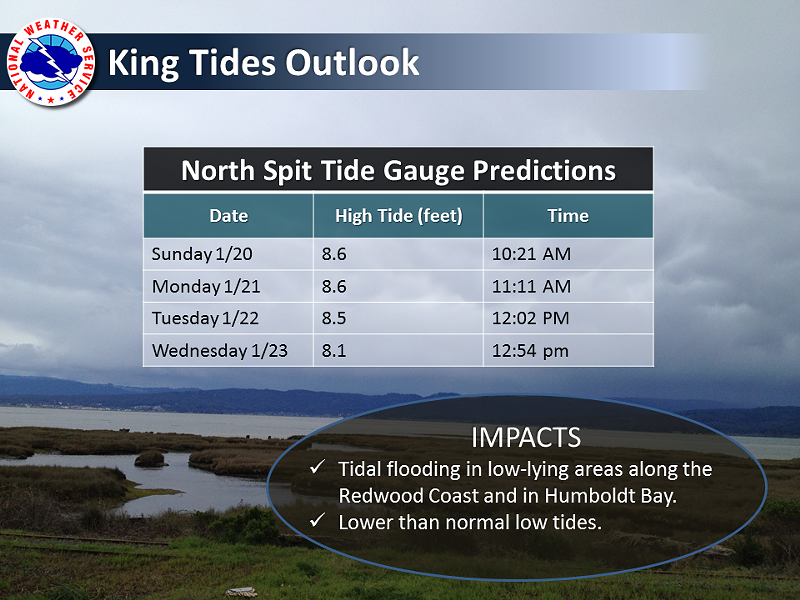 Known as the “King Tides,” Eureka office of the National Weather Service expects the water levels peak “between 9.2 and 9.4 feet” at the North Spit. The city of Arcata is asking for the public’s help in documenting 15 specific sites in the city, but welcomes other photos of the event. Find out more about the project and how to help here. Meanwhile, most sunny skies are in the forecast for the rest of the week after the drenching rains that spoiled any chance of seeing the “Super Blood Wolf” moon on Sunday and the only lunar eclipse of 2019. Read previous coverage of the celestial phenomenon here. * COASTAL FLOODING...High astronomical tides will cause moderate flooding in low lying areas along the Redwood Coast. The water level is expected to peak between 9.2 and 9.4 feet MLLW at the north spit tide gauge. * TIMING...High tide is at 11:11 AM at the Humboldt Bay north spit tide gauge. Flooding may begin an hour before or continue for an hour or two after high tide. * IMPACTS...Low lying areas will experience minor flooding including...but not limited to...roadways in King Salmon and the Arcata bottoms.